If planning a flight to Indianapolis, Indiana a private jet charter with Charter Flight Group will help you avoid crowded terminals and long waits in security. For over 30 years, we have been a world leader in private jet charter and for good reason. Charter Flight offers only luxury turboprop and jet aircraft, world-class service, countless destinations worldwide, and the safest, most comfortable flights imaginable. Our goal is to remain the private charter service of choice for busy executives and other private charter clients by excelling in courteous, professional, safe, and reliable service. To accomplish this goal, CFG takes several steps to continue improving on our already fabulous service. For starters, we only employs flight crews and ground maintenance personnel with impeccable records; if any fail to maintain our standards, they must seek employment with other charter companies. 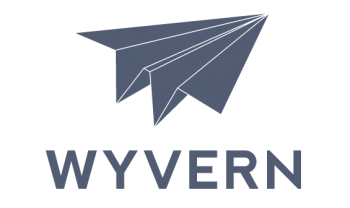 In addition, CFG retains the services of private safety companies such as Wyvern and ARGUS PRO to ensure that not only do all aircraft exceed FAA regulations, but are maintained in pristine condition; this ensures not only safe flights, but also comfortable, reliable flights. In addition, we offer service to countless destinations world wide, not just Indianapolis, along with a vast array of private turboprop and jets. Among the aircraft in our fleet are the fine Cessna Sovereign mid-size jet, the Gulfstream V large jet, Lear 40 small jet, Saab 340a turboprop, and Boeing 737 airliner jet, with numerous other choices in each category. CFG has the right aircraft for all your private travel needs. 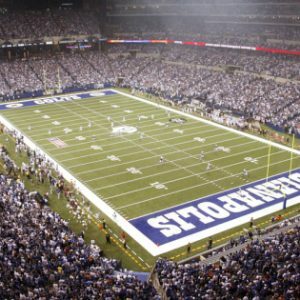 On booking your private jet flight to Indianapolis, you will have many options. Your private air consultant will take care of everything for you, but will discuss such options as on-demand, one-ways, and empty leg charters. In addition, you will discuss which airport to land your private charter jet. Here are some of the choices and the advantages of each. Indianapolis International is the largest and busiest airport in the region, providing service mainly to commercial flights. It is located on the southwest side of Indy outside the I-465/I-74 Loop adjacent to I-70 into downtown Indianapolis.Indianapolis Regional on the other hand is the main relief airport for the International and is located on the east side of the city, in easy range of I-70. This is also home to the famous Indianapolis Air Show. Indianapolis Executive Airport is located north of the city off U.S. Highway 421 and provides all the amenities that a busy executive traveler could ask. U.S. 421 runs directly into the city at historic Meridian Park. Once an agricultural center, Indianapolis became a hub of manufacturing for many years. Although manufacturing remains are large part of the economy in Indianapolis, the city has undergone a rapid transformation into government, education, finance, and health care. 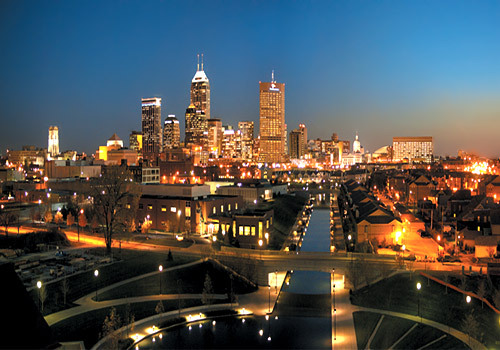 In addition, Indianapolis hosts numerous conventions and conferences which contribute considerable to tourism, which accounts for a full 10% of the local economy. Companies of note in the area include Roche Industries, Finish Line, and Delta Faucet. In addition, FedEx has a hub in Indy, and CVS, Target, and Amazon are among the many companies with large distribution centers located in the area.Of course, Indianapolis offers much to those seeking interesting diversions. This is home to the famous Indy 500, the Colts, and the Conseco Fieldhouse. The Mind Tripping Show is an unusual theater performance sure to delight, the Children’s Museum of Indianapolis is fun even for big kids, and this is the location of President Benjamin Harrison’s Home. Naturally, we believe Charter Flight Group is the best private charter company you can choose. We believe this because we know that we provide the finest executive jet crews, the most professional flight attendants, the mot knowledgeable private air consultants, the safest and most luxurious private jets available, the smoothest flights, and the flexibility and exclusivity that you deserve. We also believe that once you have chartered a private jet with CFG, you will book every flight with us in the future. So the real question is, why not choose Charter Flight Group?